(Sacred Water Lily) Aquatic perennial native to India. Roots, leaves, stems, flowers and seeds used in food and ritual. Traditional usage (Ayurveda): Tonic to digestion, genito-urinary tract, skin. To sprout the seeds, rub through the seed coat in one place with sandpaper or a grinding wheel until the white endosperm is just exposed. Then drop seed in a gallon jar of water placed indoors in a light, warm windowsill or in the greenhouse. When water becomes cloudy, replace it with clear water. 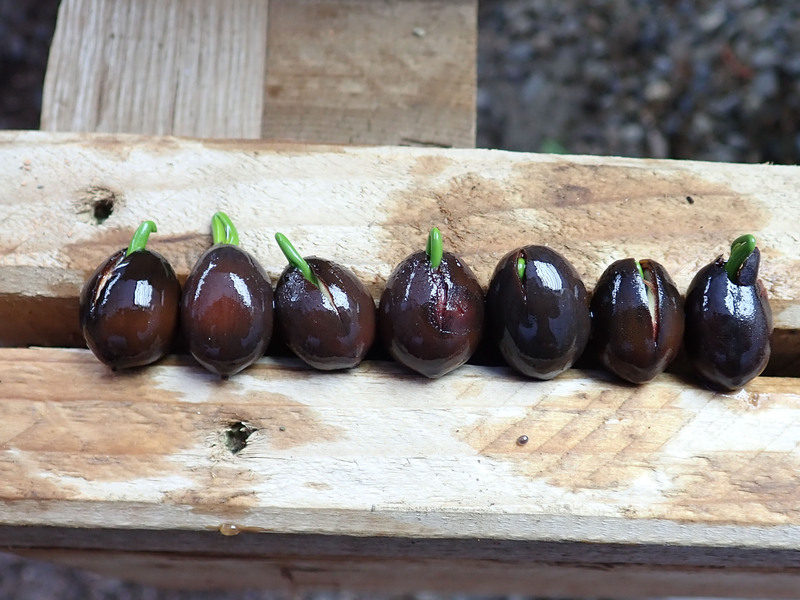 Germination occurs within 2 weeks. 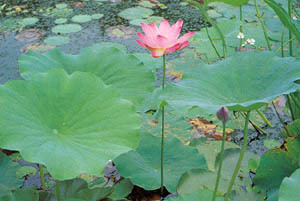 After the seedling produces its first lily pads, transplant to the pond. Make sure the roots are firmly anchored in the mud at the bottom of the pond. If the lily pad ends up under the surface of the water, it is probably not a problem. New pads will be sent out and will reach the surface. In areas where the pond does not freeze, these will naturalize and bloom in the second year. 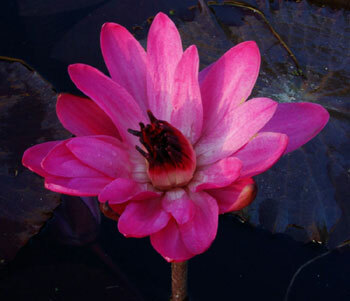 Flower color varies from pink to red. How large do the plants get? They can spread significantly depending on the size of the container/pond. Individual leaves can be a foot across. 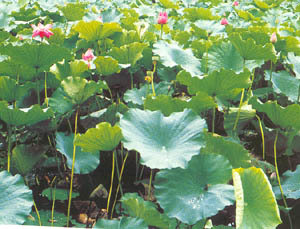 The plant rises up in flower to about 18 inches. We planted one in a 10 foot stock tank and it took over the entire surface. In cold conditions they can be quite small and tentative.